Today, we move on to No. 22 on our list, where Orem is home to both the girls and boys Class 4A state track and field champions. 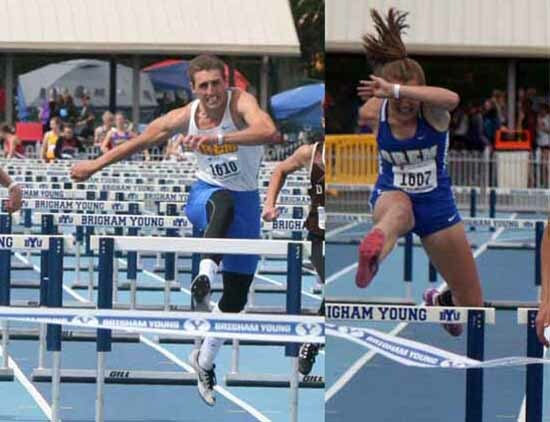 Without winning a large number of individual titles at the 4A state track and field championships in May at Brigham Young University, Orem High managed to put together a collection of results that was unbeatable. The Tigers won both the boys and girls titles because they were deeper across the board than any other team in the classification. Led by its only individual state winner, 300-meter hurdle champion Paige Young, the Orem girls team held off Springville and Box Elder for their its state title. The junior also finished second in the 100-meter hurdles and she was joined in the 300 by senior Brenna Jeffs for an impressive 1-2 finish that was very instrumental in the Tiger title. Junior Sarah Clarno had a strong day for the Orem girls, with a second-place finish in the 100 meter and a third at 200 meters. The Tiger girls also finished third in the 4×100 relay. They did not score a whole lot of points in field events, but their best result there was a second-place in the high jump from Eden Richards. 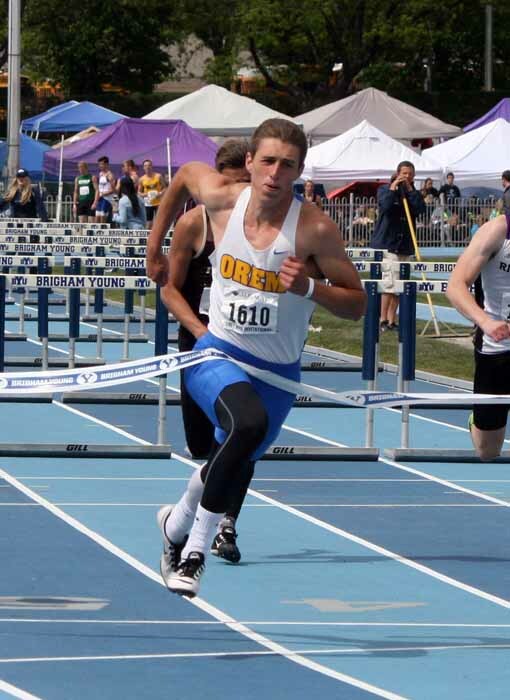 The biggest Tiger star at the state track meet was boys 100- and 300-meter hurdles champion Kody Codner, whose double gold performance led the way as Orem held off neighborhood rival Timpanogos 77-58 in the team standings. The senior also finished third in the 200 meter. Another senior, Junior Tovar, ran his way to second in the 100 and, along with Codner, led the Tiger 4×100-meter relay team to a state title. The Orem boys scored a significant number of points in the other relays as well, with a second-place result in the 4×400 and a third in the medley relay. The title was the second consecutive for the Tiger boys and the first since 2012 for the girls team.